The Information Commissioner’s Office (ICO) issued a fine of £80,000 to Laura Anderson Ltd t/a Virgo Home Improvements reminding companies making direct marketing calls to people registered with the Telephone Preference Service is “off limits“. Laura Anderson Ltd (trading as Virgo Home Improvements) broke the law when they called people who were registered with TPS. The ICO found that Virgo had not subscribed to any TPS screening in order to check whether the people they were contacting had opted out of receiving direct marketing. Between 6 April 2015 and 22 November 2016, the ICO and the Telephone Preference Service (TPS) received a combined 440 complaints about calls from Virgo Home Improvements. As well as calling consumers who were registered on the TPS, the Bradford based home improvement company failed to suppress consumers who had requested to be opted out of further calls. Virgo, like many who have been fined by the ICO, purchased a list from a third party supplier and were assured that the numbers were screened against the TPS. The problem, whether it was or was not actually screened against the TPS at the point they purchased the data, the company received TPS complaints and the responsibility falls on the company making the calls to ensure their data is proper screened against the TPS, you can’t blame your data supplier. Furthermore, Virgo continued to call the data after the expiry of 28 days without rescreening – a legal requirement under the Privacy Electronic Communications Regulations (PECR), leading to the rather hefty fine. Learn more about the TPS 28 day rule for screening your data here. 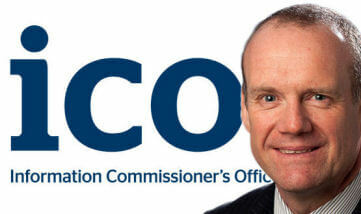 At a cool £80,000, 440 complaints equates roughly to £181 per complaint. A sizeable penalty, but not the biggest for sure. Learn from fines like this. There is no doubt we are sure that Virgo would attest to the work load and stress they had to deal with in addressing this issue with the ICO. Yet another example for everyone else to learn from. Buying data from third parties - Virgo Home Improvements claimed that their data suppliers had assured them that the data they had purchased from them and used in their campaigns was screened against the TPS, but clearly it wasn’t. TPS Screening is YOUR responsibility - Whether you like the idea or not, it is your responsibility to TPS Screen and you cannot get away with saying that your supplier promised you that they had TPS screened the data they sold you. 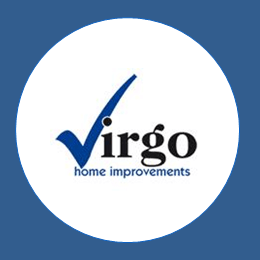 Virgo Home Improvements found that out the hard way! TPS Screening only lasts 28 days - After 28 days you have to re-screen your data. Flaws in your systems - The ICO won’t care one little bit if part of your defence to a complaint is “We usually have this in place, but there was a flaw with our system”. In the case of Virgo Home Improvements, they could not prove they had the appropriate consent to call on some of the data they held in their database, because it had been previously transferred from paper and they did not keep the paper records. It’s a legal requirement under the Privacy Electronic Communications Regulations (PECR) that companies do not call numbers registered with the Telephone Preference Service (TPS) without their specific consent. If you’re going to rely on consent to call numbers registered on the TPS then you had better be sure your compliance supports you fully or else you’ll risk a fine. “I hate to say it, but again I could just copy and paste my comments from other news articles. It doesn't even need thinking about. No matter what any business sells you, the responsibility for calling numbers on the TPS or using data you’ve purchases for texting, emailing or voice broadcasting all rests with you and your business. There is no magical ’get out of jail free’ card simply because someone somewhere told you it was ok and you trusted them. Virgo Home Improvements have learned the hard way, as have so many before them, so listen up and learn from it before it’s your business that gets a fine.